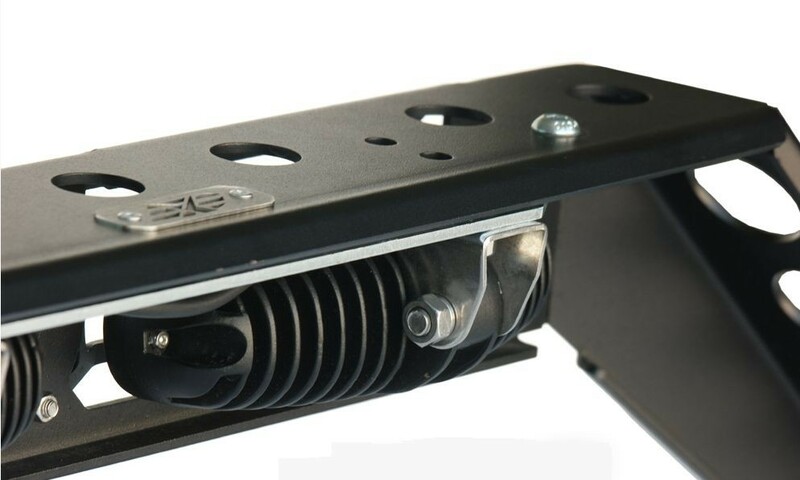 This box module kit for the M17 front bumper by Equipe 4x4 covers the winch compartment if you don't have a winch fitted. 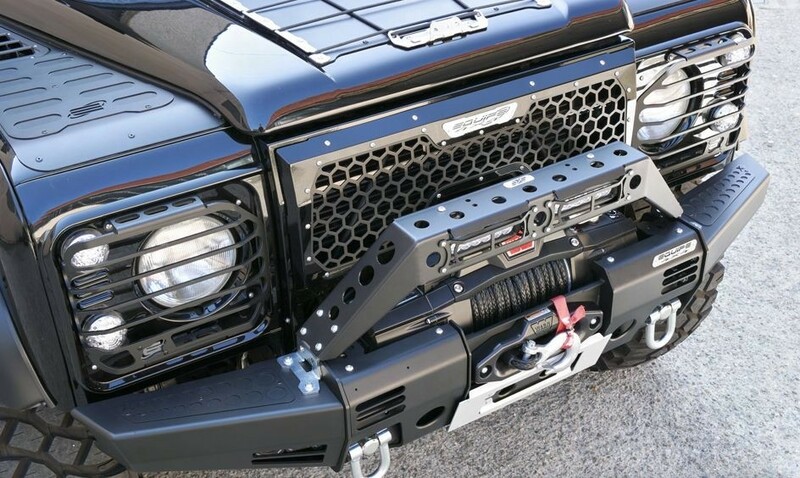 It can easily be removed should you want to fit a winch. 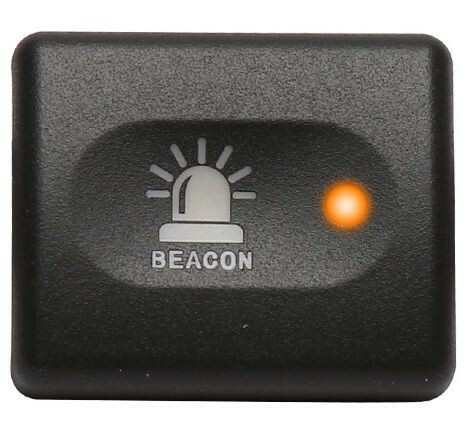 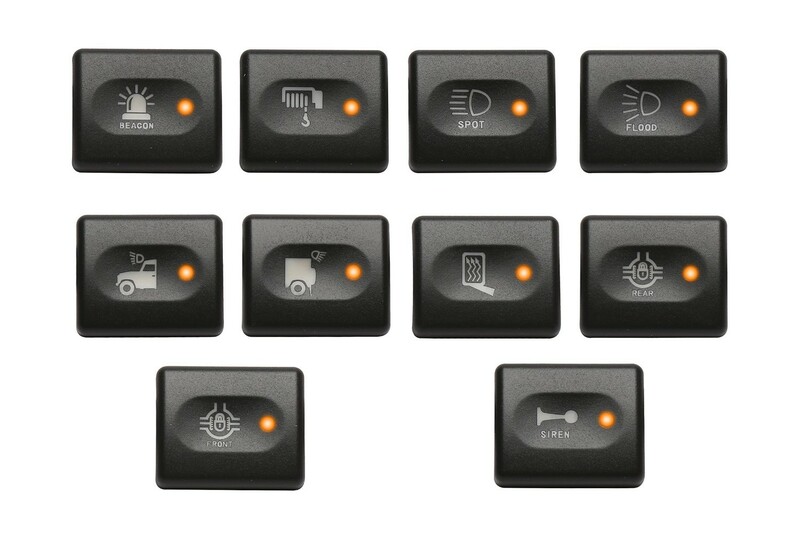 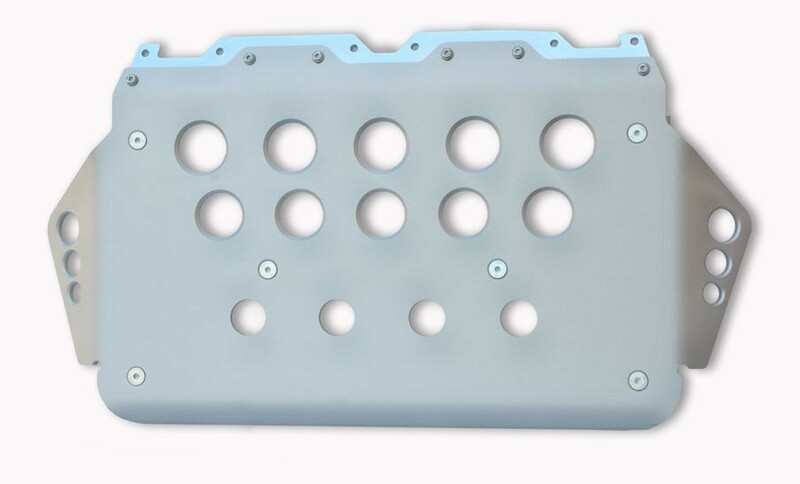 The upper part of this module comes with holes to fit any additional lights and the front has holes to fit the number plate holder by Equipe 4x4. 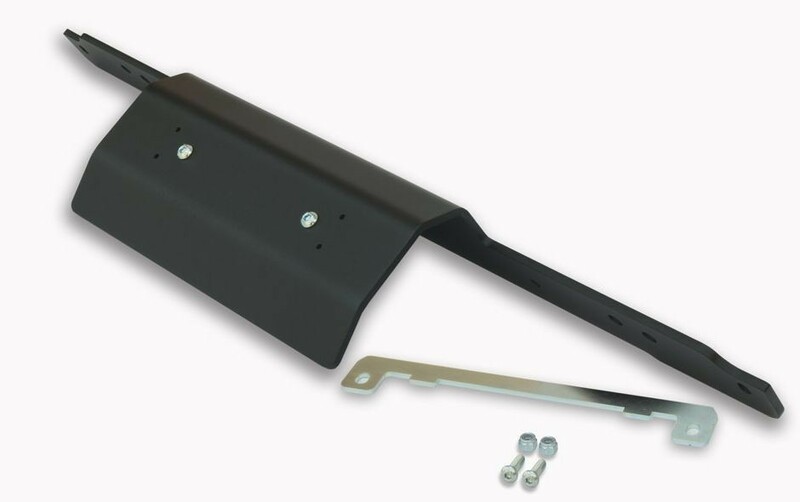 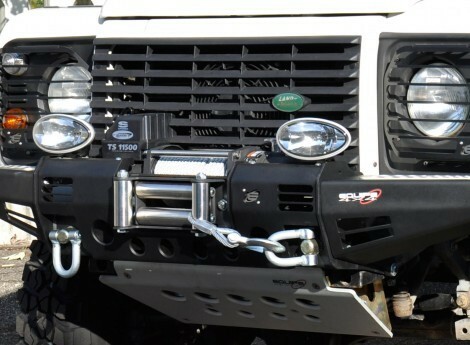 The number plate holder is made of aluminium and can be fitted to the basic front bumper and to the modular winch and box bumpers M17 for Land Rover Defender. 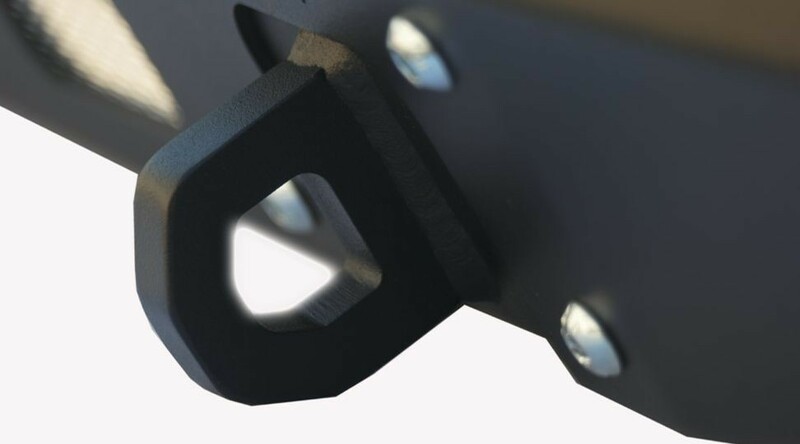 This holder can also be fitted to other bumpers by drilling holes after finding the optimal position. 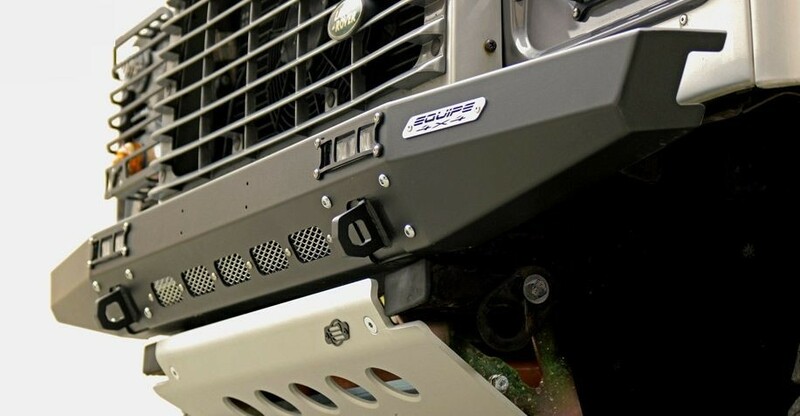 This eye-catching aesthetic basic bumper for Land Rover Defender has been thoughtfully developed according to the needs expressed by several Defender owners. 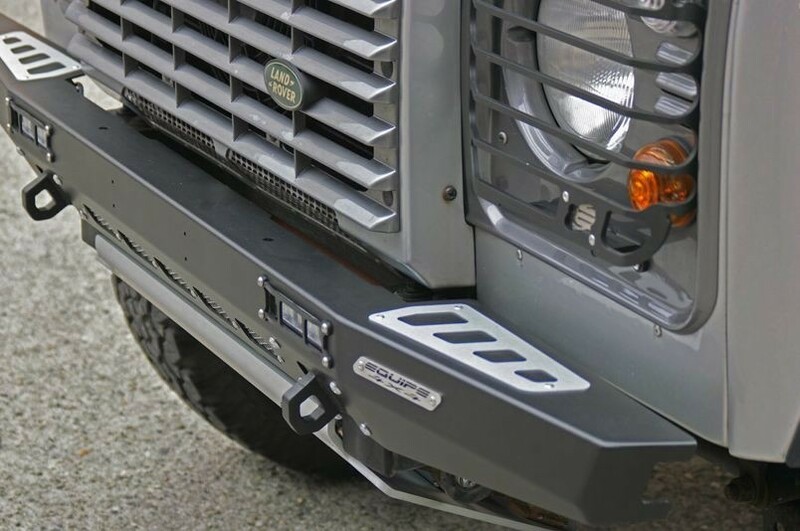 These features make the basic bumper a unique part for your Land Rover Defender. 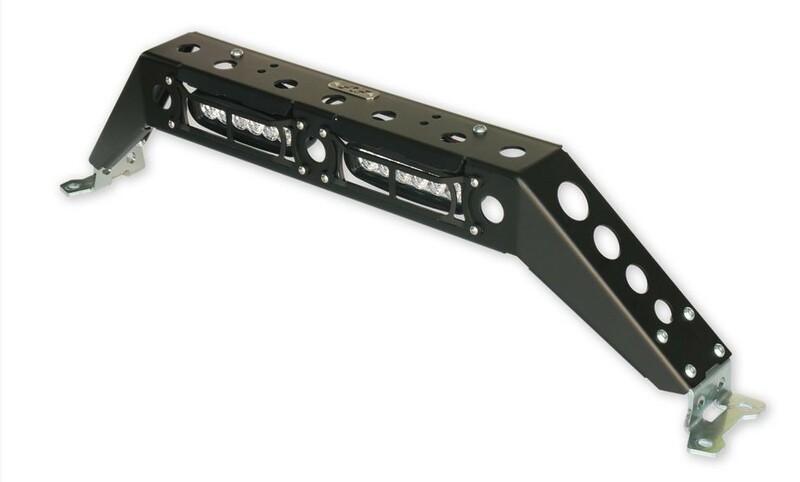 This new steering guard/bash plate is especially developed to be combined with the new modular M17 bumper series. 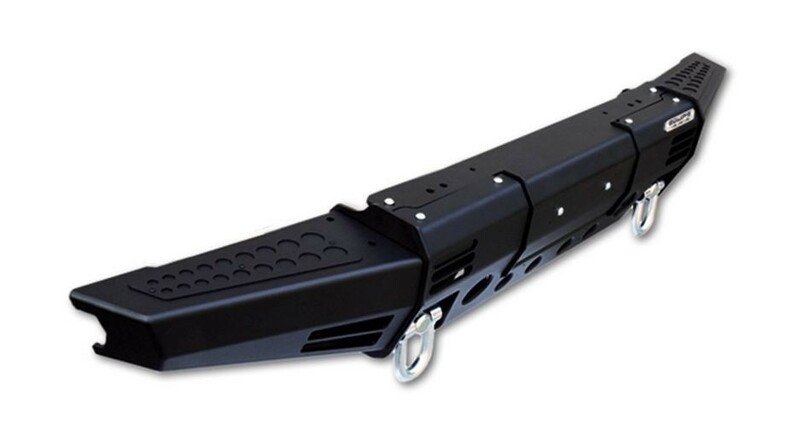 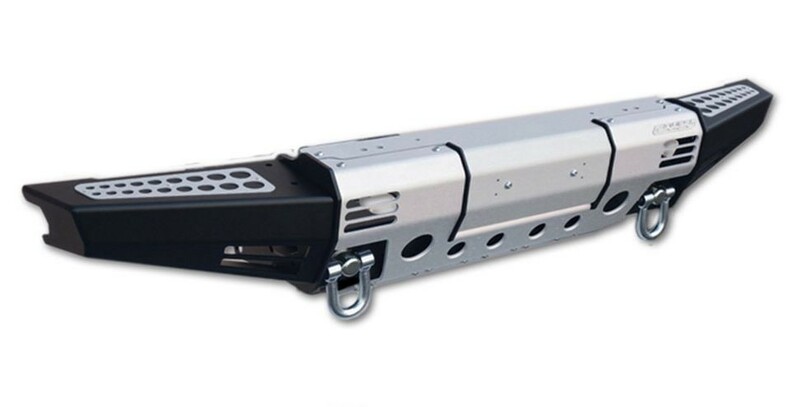 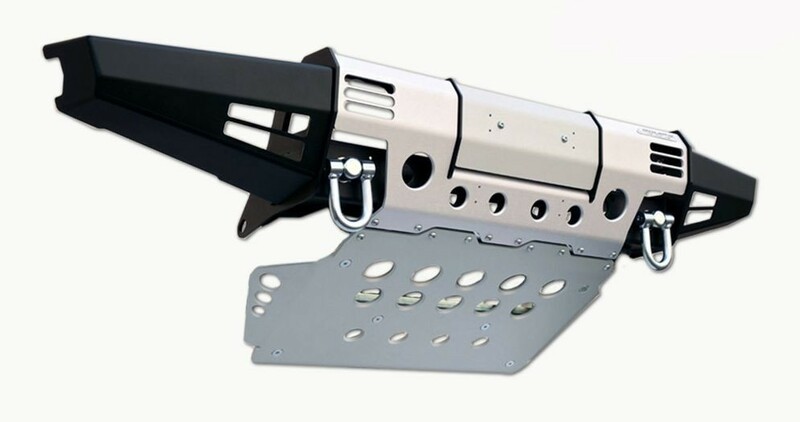 It is made of 8 mm aluminium and is fitted to dedicated holes on the M17 winch and box front bumper. 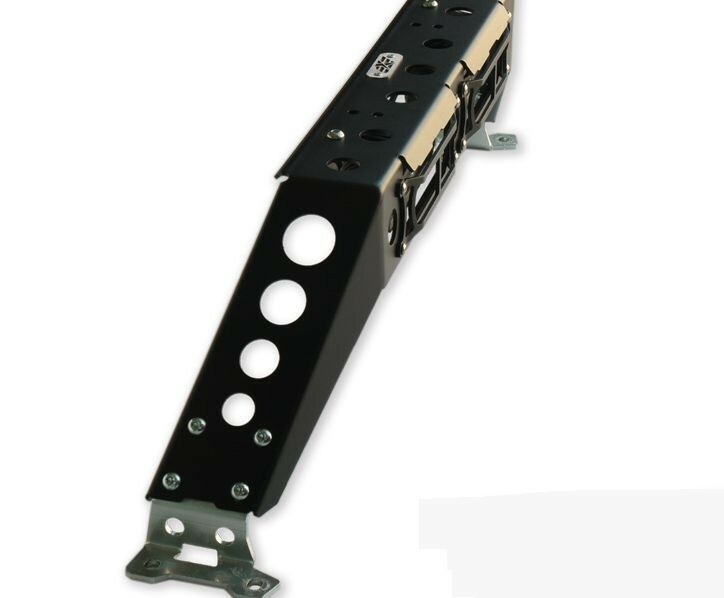 This increases the resistance to impact also the reinforced crossbar in the centre of the bash plate increases the stability. 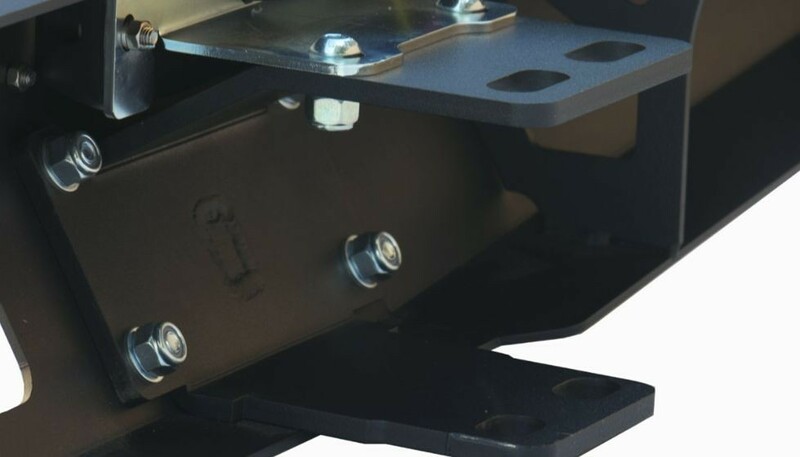 The tapered profile is perfectly connected to the bumper which results in a single surface, ideal for sliding over any obstacles. 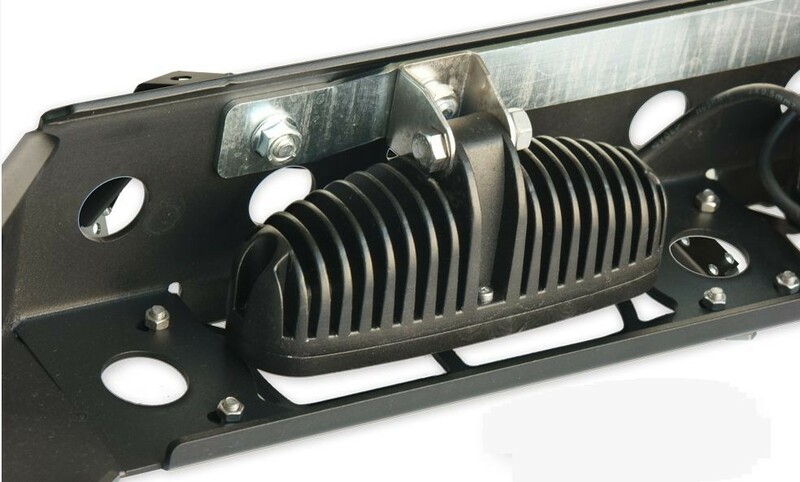 New improved modular winch bumper M17 is the new version of the well known modular bumper by Equipe 4×4, built from 2012 until the middle of 2017. 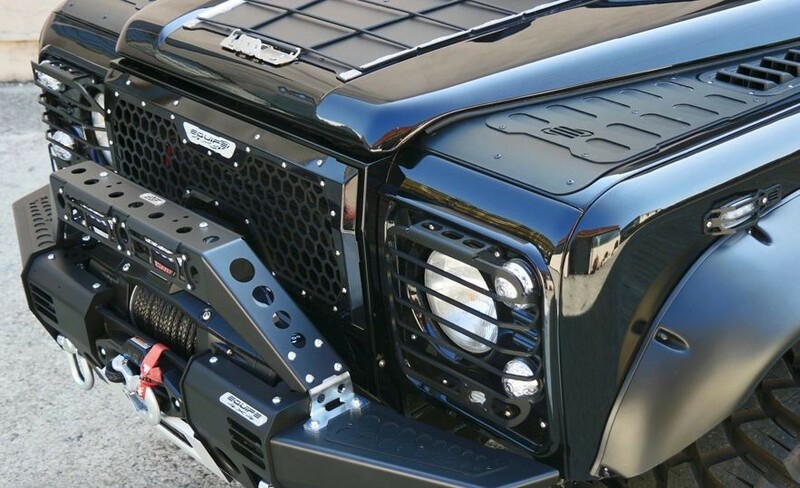 After 5 years it is still one of the most innovative and interesting products on the market for the Land Rover Defender. 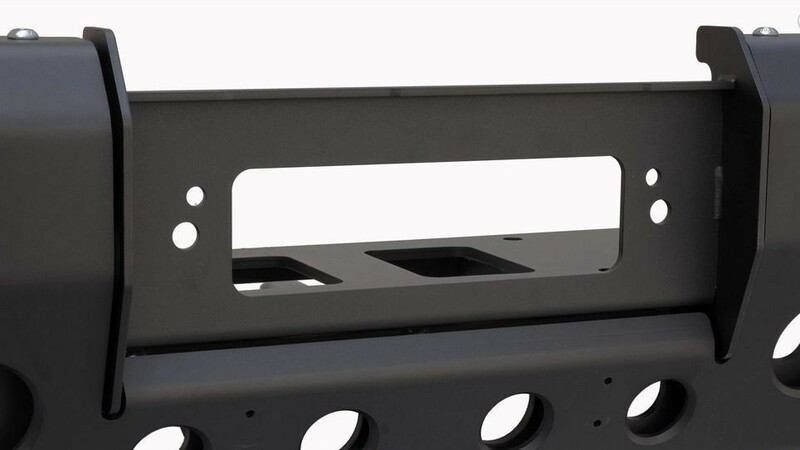 This is the reason that prompted the crew to design a new version of the modular bumper, the M17; improved in functionality and appearance. 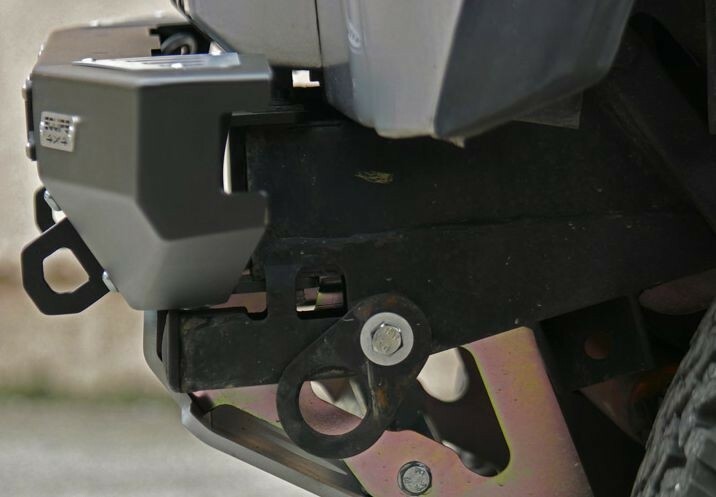 With 2 swivel recovery eyes and non slip tread plates. 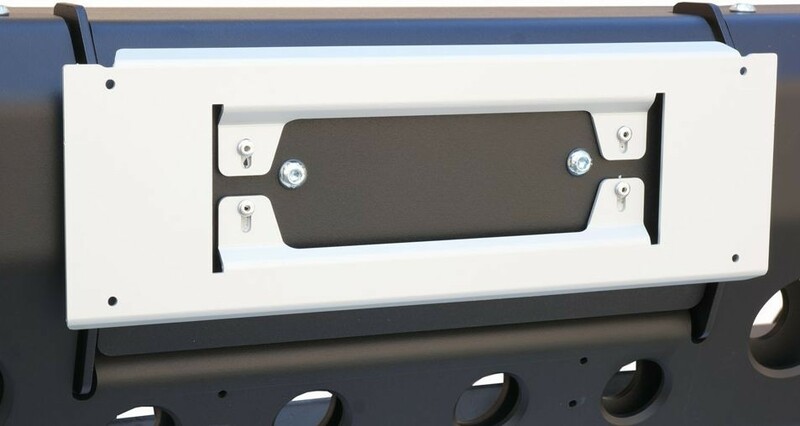 Transformable into a Cover box bumper by adding the box cover. 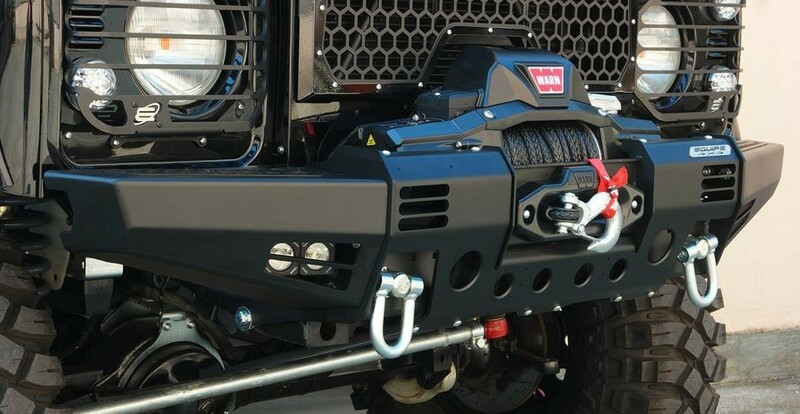 Winch and LED lights not included. 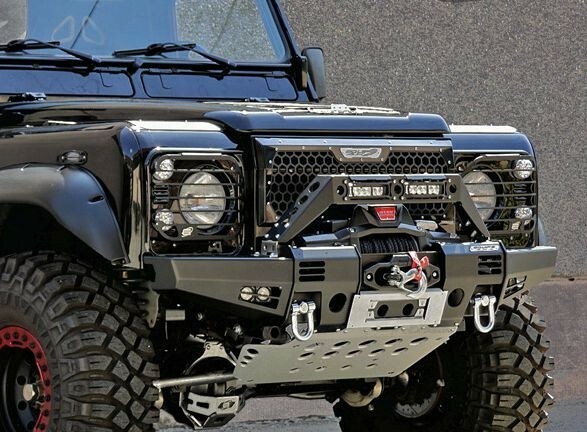 The new A-bar can be fitted to this bumper. 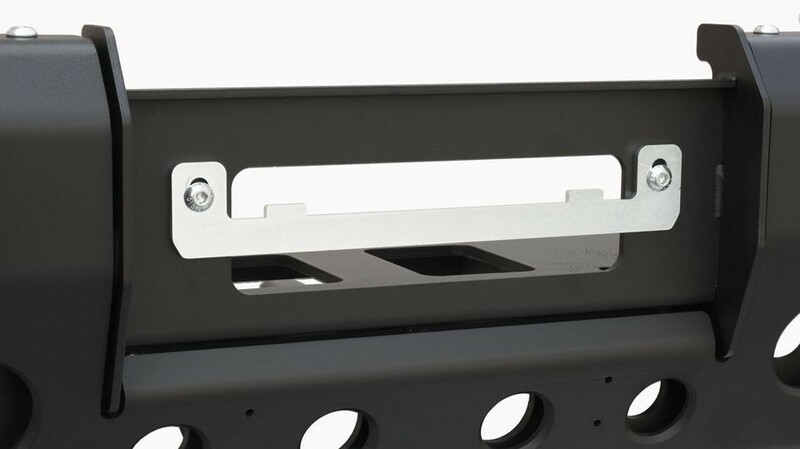 The A-bar is available separately. 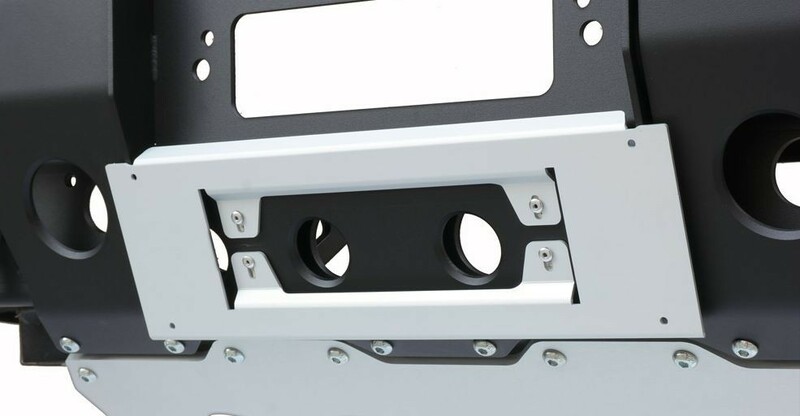 New improved modular bumper, Cover Box M17 is the new version of the well known modular bumper by Equipe 4×4, built from 2012 until the middle of 2017. 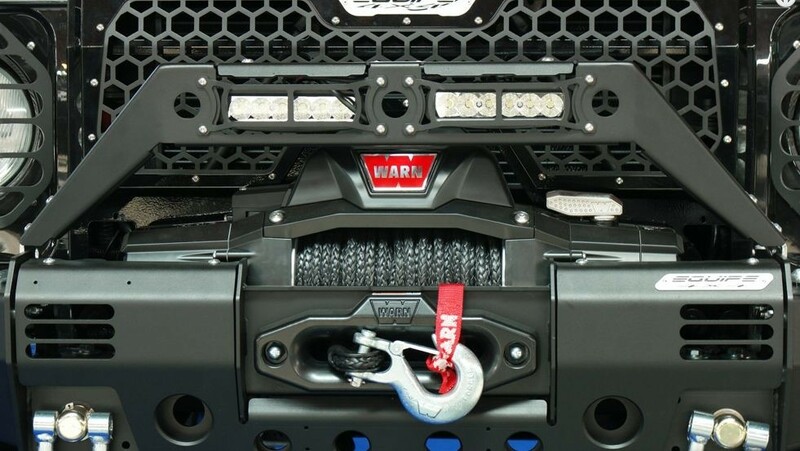 Transformable into a winch bumper by removing the box cover. 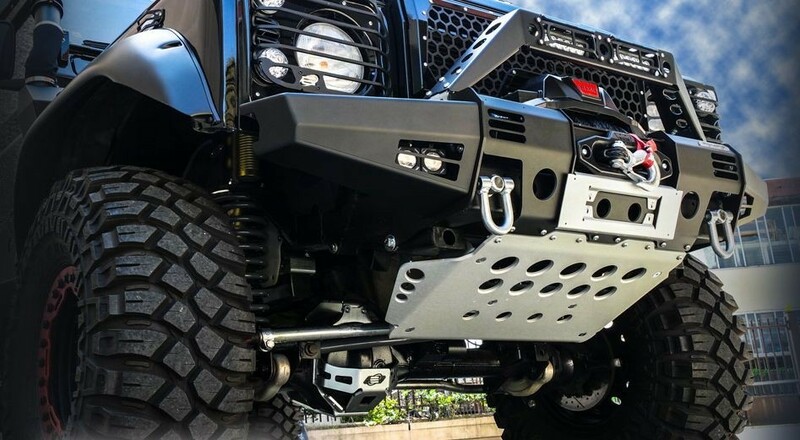 This bumper comes with the new larger steering guard. 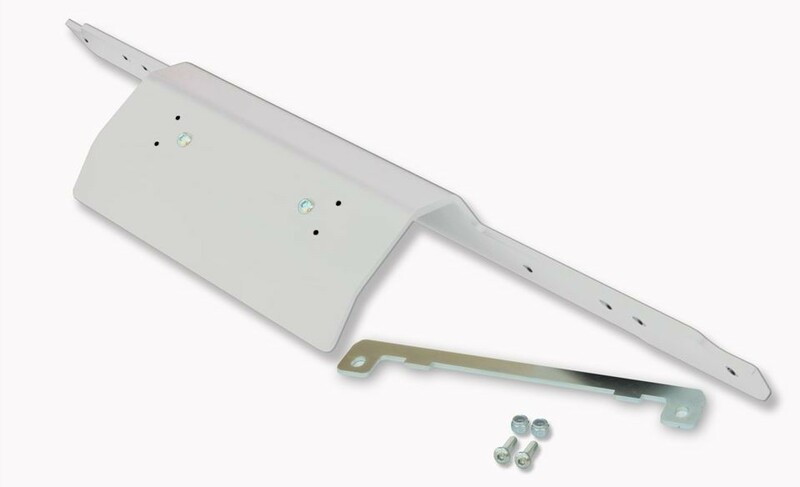 The number plate holder is not included. 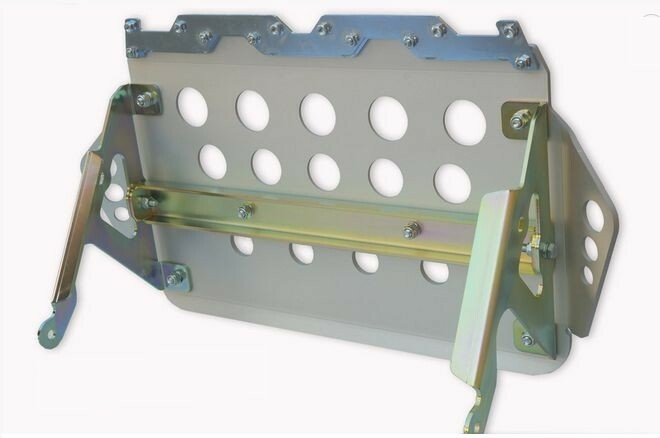 Transformable into a Cover box bumper by adding a box cover. 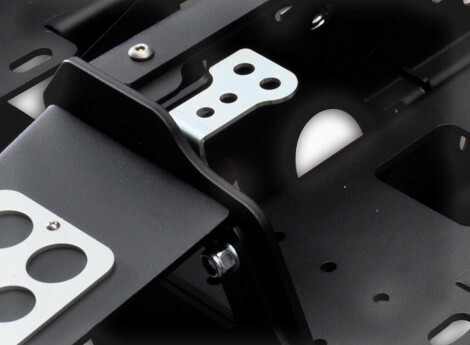 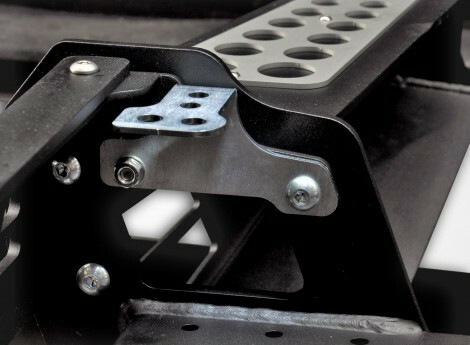 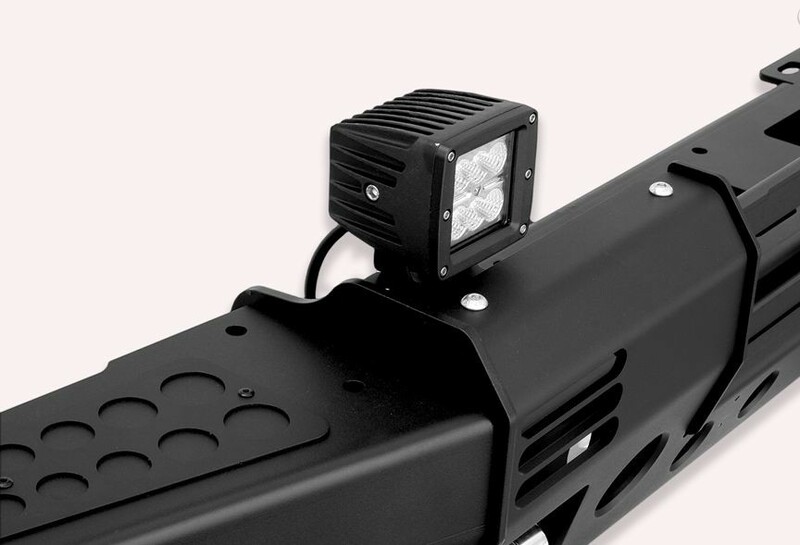 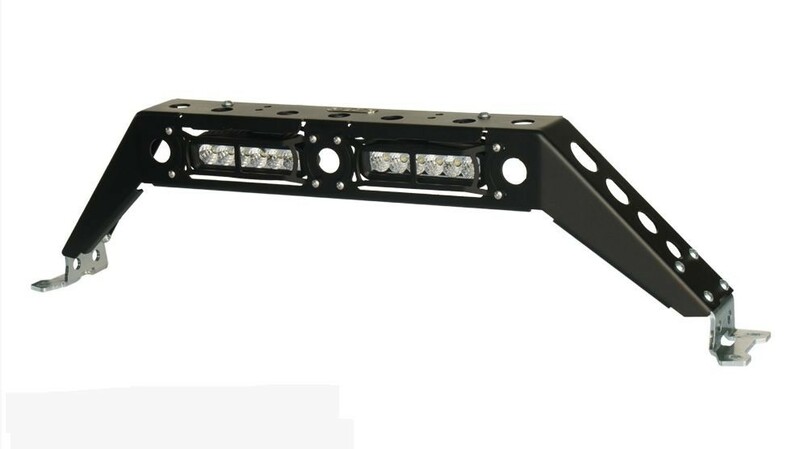 External bracket for additional lights, applies to the Equipe 4 × 4 modular bumper. 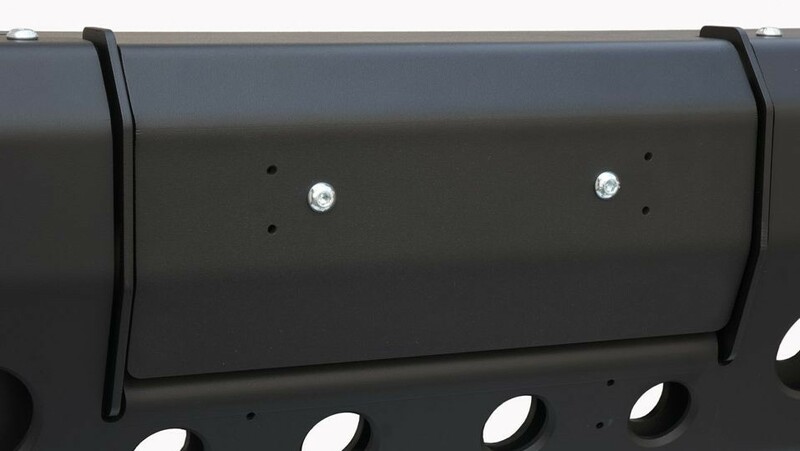 Can be easily fitted on the dedicated holes.